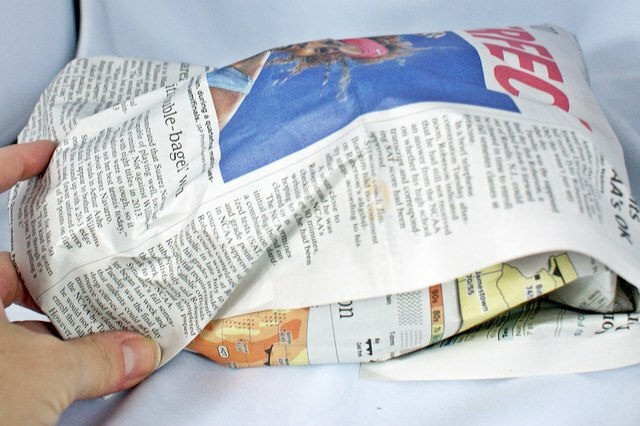 Pack the shoes in newspaper when they're being stored. Paper, especially newsprint, is highly fibrous and naturally absorbs odors, so keeping paper in close contact with your shoes will reduce the chemical smell. Apply baking soda to the shoes. Baking soda absorbs odors of all kinds, neutralizing smells. 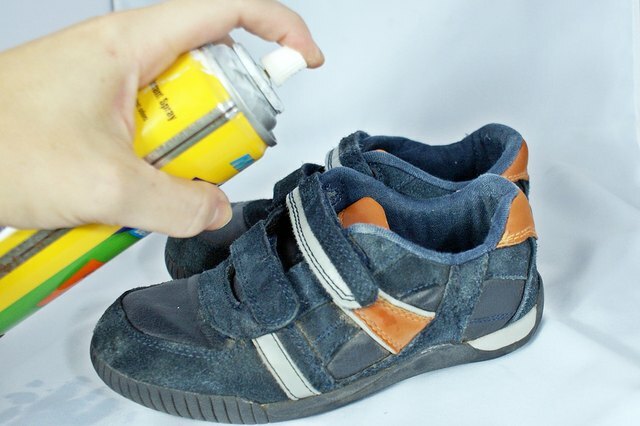 Either dust with soda in powder form or apply a mixture of baking soda and water to the shoes. 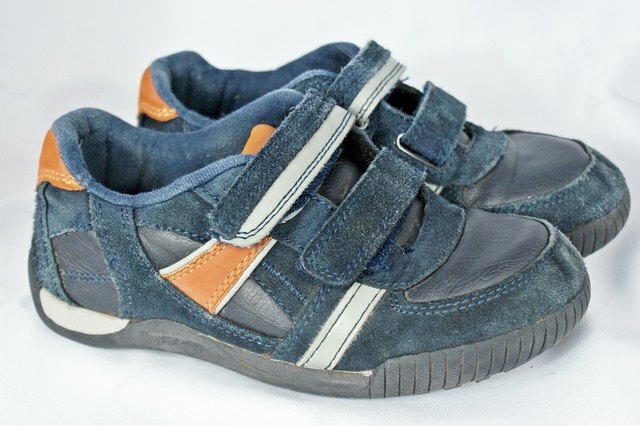 Leave the baking soda on the shoes for several hours, then dust or wipe away. 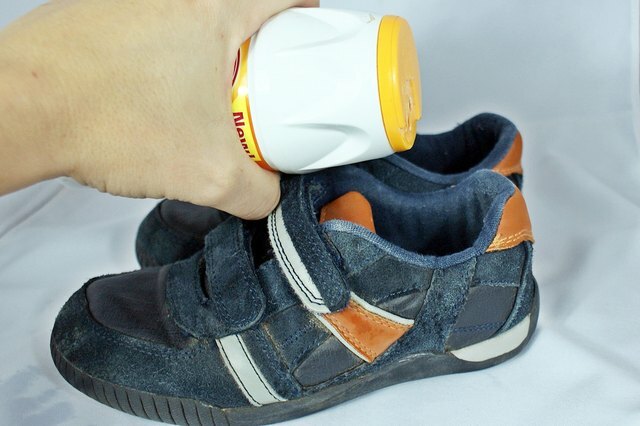 Powder the shoes with odor-absorbing foot powder. 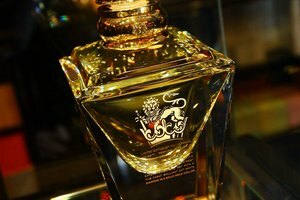 This will also help neutralize any foot odor that may result from the non-porous environment often created inside synthetic leather shoes. 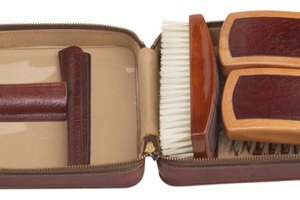 Can You Polish Polyurethane Shoes?